Pen & Pro$per : 8 Ways to Build Your Bank Account Through Your Blogging Efforts! 8 Ways to Build Your Bank Account Through Your Blogging Efforts! Any writer worth his salt knows that building a blog is a great way to showcase creative works and increase exposure exponentially. That's a given. Still, as this medium is very popular, it’s also very competitive, in terms of garnering attention from today’s busy reader bombarded by a multitude of choices. (So many choices, so little time). For this reason, success and longevity requires more than interesting content and cute photos. Strategy, planning, and blogging savvy are crucial to connect with readers, stay in the game, and stay in the black. No doubt, many bloggers approach blogging with the best intentions. But without the right mindset and practices, they often become frustrated and suffer from burnout before they reap rewards or meet their goals. Don’t be one of them. With this in mind, here’s how to work smarter not harder, and build your bank account from your blogging efforts. Whenever I hear songs on the radio, there are certain artists that are easily identifiable by their singing style, tone and quality. Wouldn’t you agree? Folks like Michael Bolton, Beyonce, Mariah Carey, Barry Manilow, and Kenny Rogers are able to boast many years of success in the industry due to distinctive voices. The same principle applies to bloggers seeking to be “heard” and remembered in the Blogosphere. Hone your craft to increase your cash. This includes identifying your targeted readership, your short and long-term goals and designated deadlines for implementation. 3. Study successful blogs in your niche. What is their appeal? Their approach? The frequency of posts? The tone? The topics? Assess then implement. 4. Develop a monetization plan. If you intend to blog for bucks there are numerous ways to do so through your site. A few methods include selling advertising space, affiliate programs, and hocking your books and other creative products. Many writers optimize their earning potential by actually combining the various methods. It all depends on your goals, blogging style, knowledge base, time demands, and personal preferences. Keep these tips in mind to move forward in your blogging journey. One of the biggest barriers to blog growth is inconsistent posting. No matter how awesome your content may be, if you only blog when the mood hits you, or very sporadically, readers will lose interest, or not take you very seriously. The end result? Low readership and low rankings. 6. Guest Blog at some of the top-tier sites in the Blogosphere. Spots like Problogger, Daily Blog Tips, Men With Pens and Copy Blogger, will give you more sets of eyes than your local Lens Crafters! These appearances will also help to increase your Google Page Rank through quality inbound links. As they say, “Variety is the spice of life.” Incorporate interviews, contests, guest posts, industry updates, and calls for submission on your site. This way readers feel as if they are getting more bang for their buck! I have done this for the last few years on my blog, and I can attest that it’s a winning recipe for success. 8. Network online and off. Keep in mind, that sometimes "it's not what you know, but who you know." Tap into the power of social media. Join professional writing groups. Connect and collaborate with other creative professionals. Get your hustle on. 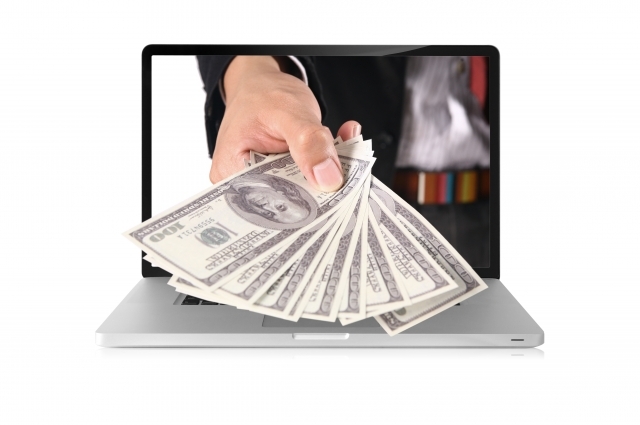 Follow these timely tips and your blogging efforts are sure to “pay” many times over! Thanks for sharing these tips, Jennifer. I especially like # 7. I have experimented with give aways, and also shared 3 interviews on my blog so far. Excellent and timely tips, as usual. Great to hear from you today. Glad to learn that your efforts are being well received. Keep up the good work! Excellent tips! I need to work more on #6. It's been on my to-do list for a while. Time to get moving. Thanks for the inspiration! It's never too late to start! :-) Wishing you success. Certainly that's true for most of us. :-) Keep going. :-) Thanks for stopping by. How to open a NRI bank account, can someone suggest me the ways to open the best NRI account in India?? As you could read in a previous reply there still is enough room for improvements on my blog(s), so today I also actually just created some changes on a new blog I recently created. With this new blog I did start with a somewhat more targeted readership in mind, creating it into a Service, and building a Blog around it. Attempting it to be an Online Creative Community type of Blog about Short Story Writing, with Short Story Writing Resources. You can even discover some of my own humble attempts of writing Short Stories, and Special Pages with info about a variety of several other types of writing, like for example: Freelance Writing, Writing (Book) Reviews, Writing Fillers for Magazines, Greeting Card Writing, Travel Writing, Novel Writing. I welcome comments from everybody that has experience with - Creative Writing - won Short Story Competitions, or has Tips & Ideas to share.